The workforce in manufacturing is changing. Advanced manufacturing requires skilled workers, and they are in short supply across the US. Even China, with its cheap labor, is modernizing its plants and seeking greater numbers of skilled workers. 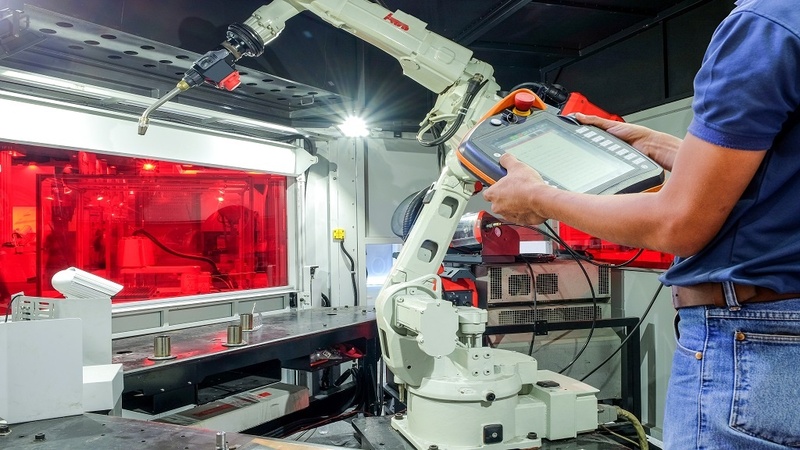 While we often hear about the coming plant that has so much automation it needs few workers, in reality, plants are seeing a shift to skilled workers rather than a significant drawdown on the workforce. The push to bring more skilled workers into the plant has caused a gap between the need for technicians and the available workers. The notion of solving this through even greater automation is many years away – though companies are working on it. Solving the shortage of skilled workers for manufacturing will require creativity. One move is to grab technical people before they graduate from college. Middle-skilled jobs have become a significant portion of the workforce in general, suggesting the two-year degrees or partial college may be a premium background for job hunting. In fact, according to the National Skills Coalition, a research and advocacy group focused on workforce development, middle-skill jobs make up more than half of all jobs today and will account for 48 percent of openings between 2014 and 2024.